The Supreme Court today clarified that one need not or no one can be compelled to stand up in attention position if the national anthem is played in a movie or a documentary. “When national anthem is played during film or documentary nobody is compelled to stand. On my question the Attorney General himself said the interim order does not deal with such a situation”, Justice Dipak Misra said during the hearing of the PIL on the issue. When senior advocate Chander Uday Singh and advocate P V Dinesh who appeared for the Kodungallur Film Society, one of the intervener who sought recall of the mandatory ‘stand up’ order raised the issue vigilante groups indulging in attacks on those not respecting the national anthem and incidents of moral policing, the bench said “no no no there cannot be moral policing etc.”. There have been instances of people beaten up for not standing up for the anthem and complaints have been lodged in several states across the counrty. Last October, award-winning writer Salil Chaturvedi - who suffers from spinal injury - was allegedly beaten up at a Panaji multiplex for not standing up while the national anthem was being played. Attorney General Mukul Rohatgi submitted before the court that the home ministry on the directions of the court has issued guidelines on how people with disabilities can show respect when the national anthem is being played in movie halls or public functions, saying they should not move and position themselves “maintaining the maximum possible alertness physically”. At this point Amicus curiae Sidharth Luthra said there was no clarity on how the guidelines pertaining to the physically challenged should be implemented. Attorney General Rohatgi then said that it the guidelines are still in evolving process and a “lot of fine tuning remains”. After Luthra and AG also favoured a collective hearing of all petitions together in one sitting “rather than a piece meal approach which will only add to the confusion”, the bench agreed to take up all petitions and applications for detailed hearing on April 18. Rohatgi also said singing of national anthem should be made compulsory in schools and the law needed a relook. ”When you instill patriotism it has to start from schools it has to be made compulsory in schools ..this is a kind of reinstatement”, he said.Objecting to the petitions filed seeking recall of the order, AG said the court has “instilled pride, patriotism and nationalism through it's national anthem order”. 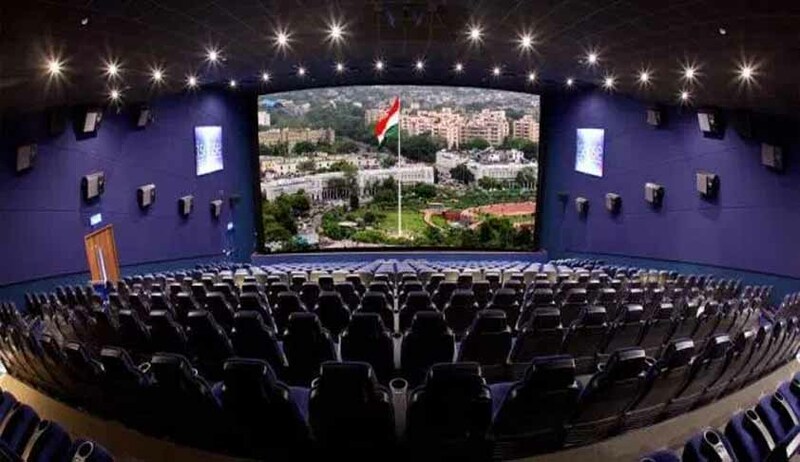 In the midst of the hearing senior advocate Rajeev Dhavan sought permission to intervene in the issue saying he did not agree with the order which mandatory for all movie watchers to stand up for the anthem which is to be compulsorily played before each show. “This is nothing but popcorn nationalism. I don’t agree to it.”, To this, Justice Misra replied that “The question is not you agree or not but if the order is right or wrong. The debate is on. Don’t worry”.